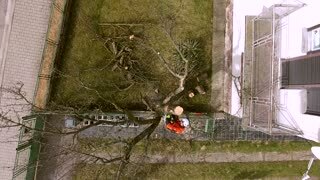 Lumberjack with saw and harness pruning a tree. 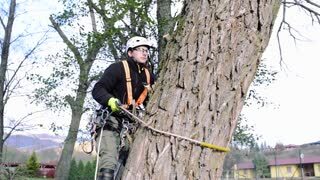 Lumberjack with harness and saw pruning a tree. 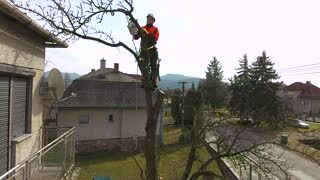 Lumberjack with saw and harness climbing a tree.